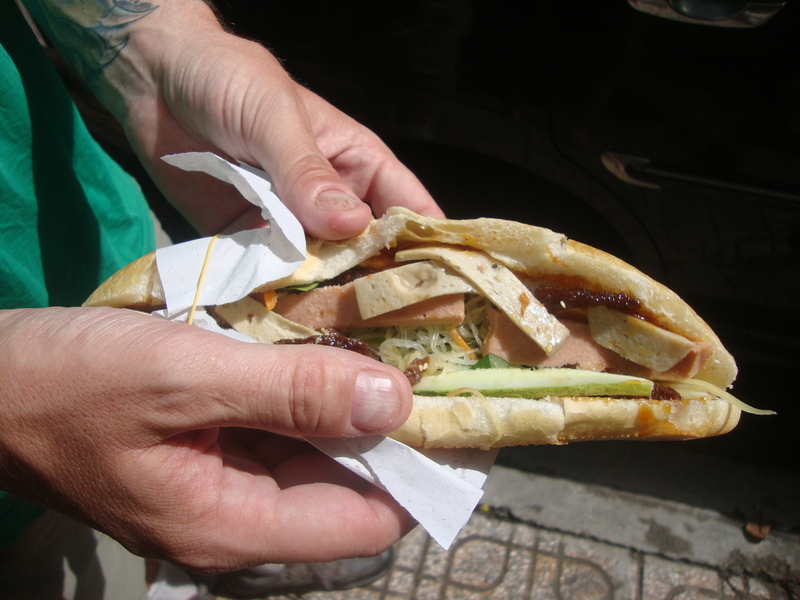 Da Lat: A Vegan Paradise (Who Knew?) | Are We There Yeti? When we left Nha Trang, our hearts were heavy. 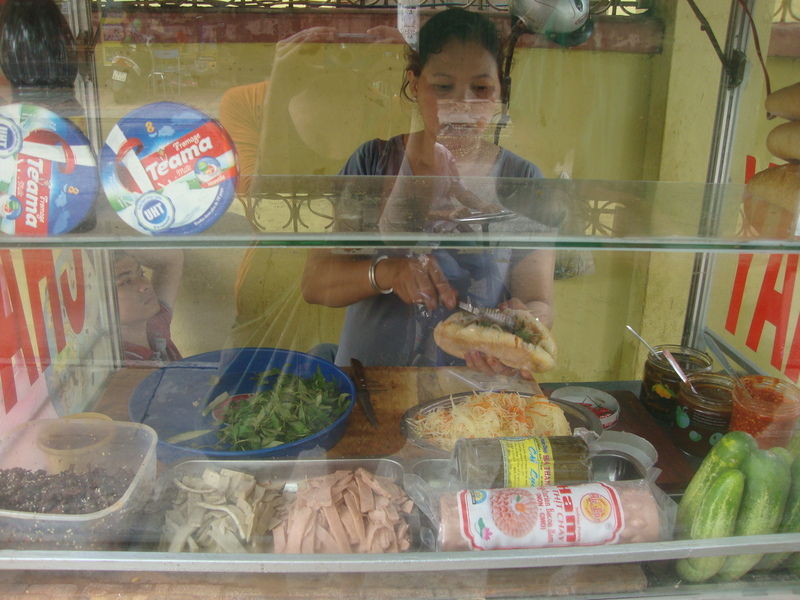 Not because the town is particularly pumpin’ (it isn’t) or because the beach is so beautiful (it really isn’t), but because of the lovely wee lady selling vegan banh mi for 10,000VND/50c a piece. Check out that big hunk o’ vegan ham! The finished product — banh-tastic! How could Da Lat possibly compete with that? …Well, quite easily, it turns out. Com Chay, Com Chay everywhere! 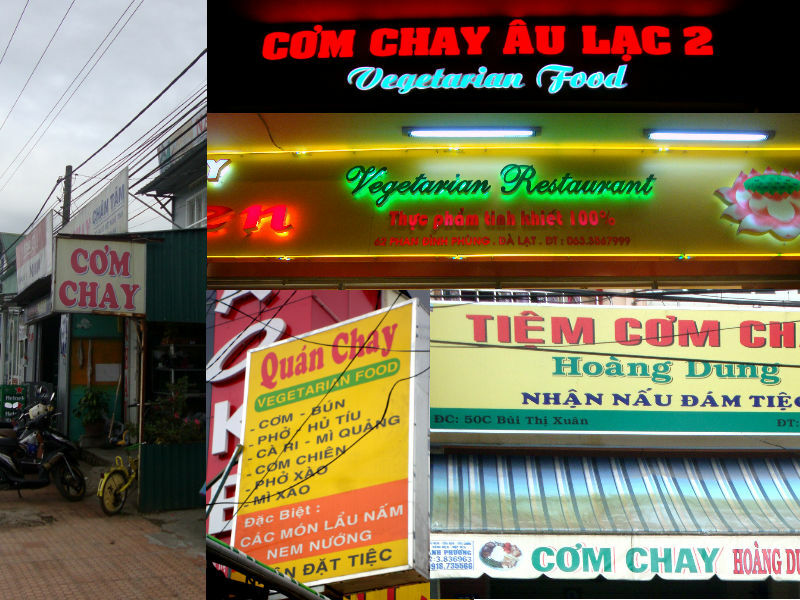 …about a dozen signs reading ‘Com Chay’ (Vegetarian Restaurant). A couple of them even had banh mi stands outside! During our 5 day stay, we tried a few and (as is our wont) quickly found a favourite. Au Lac happened to be a 30 second walk from our hotel, so we tried there first. We ate some great meals here, but took no pictures. So it hardly counts, really! Anyway, it’s not the most tourist friendly place (we kind of stood around awkwardly for awhile before anyone acknowledged us), but the food ain’t bad at all: mixed rice ($1.25 – $1.50), noodle soup ($1), and banh mi curry ($1). Best dishes: banh mi curry, mixed rice. Directions: From the lake, head up Bui Thi Xuan road. Au Lac is about 1km up, on the right. Next (and best! ), Dai Loc. Dai Loc is a little way out of the centre of town, but well worth the 20 minute walk. In fact, even if it only sold fresh spring rolls, it would still be worth it. The rest of the menu is just a bonus. We ate at Dai Loc daily, and whenever we decided to branch out and try something new, we kind of wished we hadn’t. 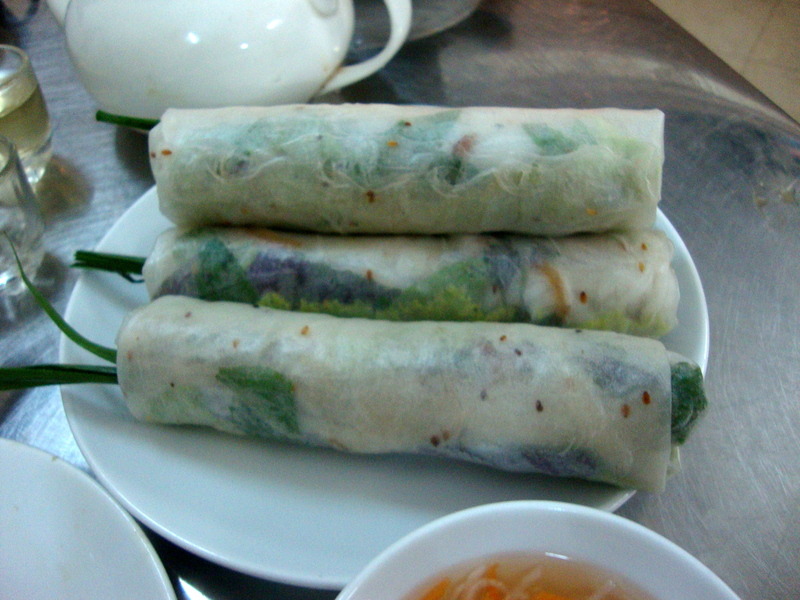 The best fresh spring rolls in Vietnam. And, I can only assume, the world. For real, those spring rolls; huge, fresh, and super tasty. Oh, and cheap. This big ol’ pile set us back $1. A $3 meal! Not pictured: 3 already gobbled spring rolls. 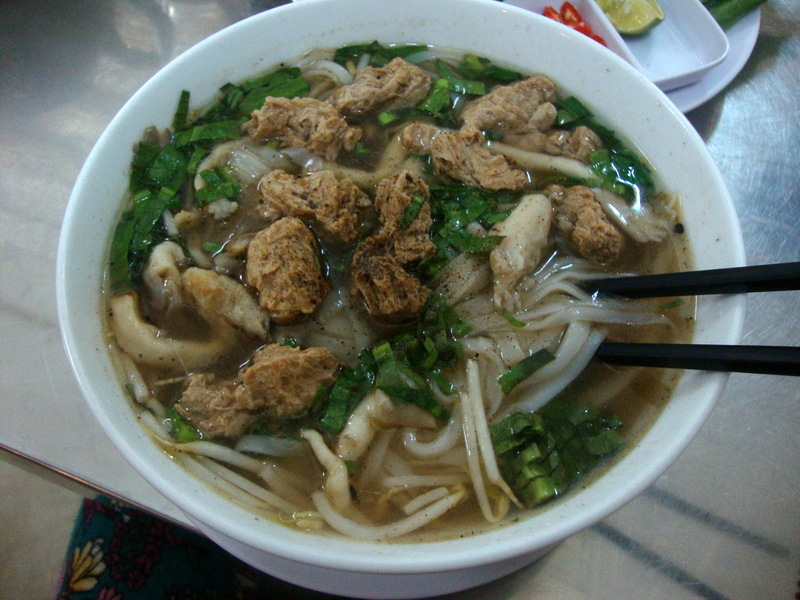 …while I almost always went for the pho ga. I did branch out once, and tried the mixed rice — a pretty grubbin’ pile of mock meat, tofu, and vegetables on a generous portion of rice. All for $1. We spotted Hoan Sen early on, but avoided it at first — shiny signs, waiters in uniform? Too fancy for the likes of us, surely. As it turns out, it was only around 50c more than the others. We ate dinner there once (pho and some other noodle soup, both $1.50) and grabbed takeaway banh mi and banh bao (both 50c) for lunch a few times. Directions: Of the bunch, Hoan Sen is the most centrally located. 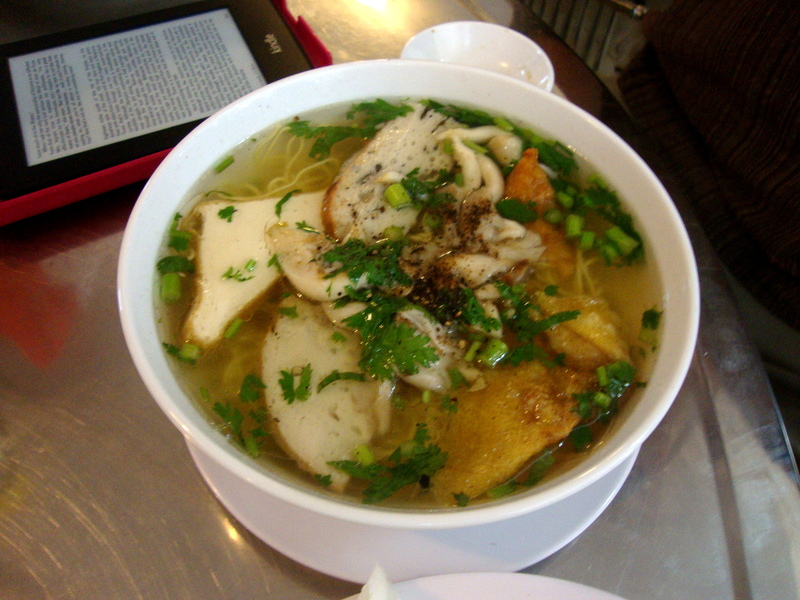 Dalat had more vegan options than any town we’ve seen in South East Asia. 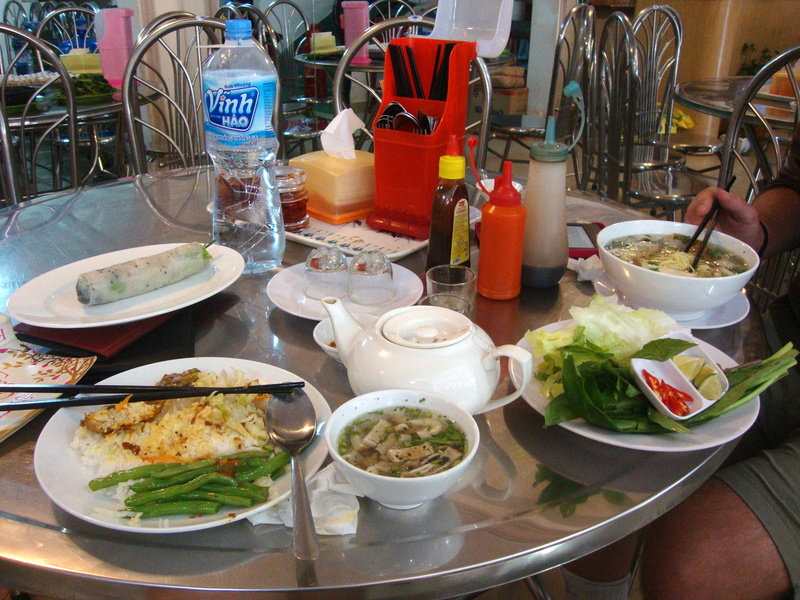 In the end, we found more than a dozen veggie eateries with things like corn milk and fresh stream rolls readily available. The fact that meals were so cheap–often less than a dollar, even, and the rare designation of vegan paradise is truly deserved. 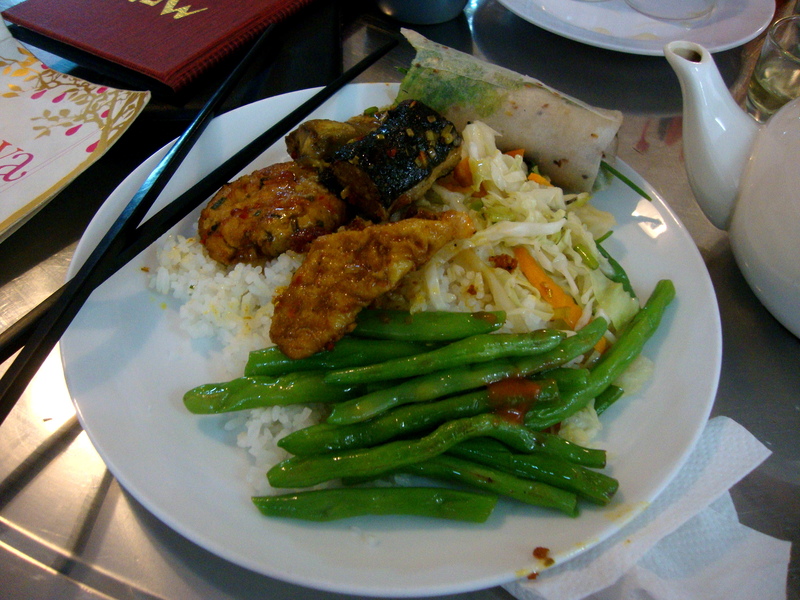 This entry was posted in Eats, RTW Travel, SE Asia, Vegan, Vegetarian, Vietnam. Bookmark the permalink.